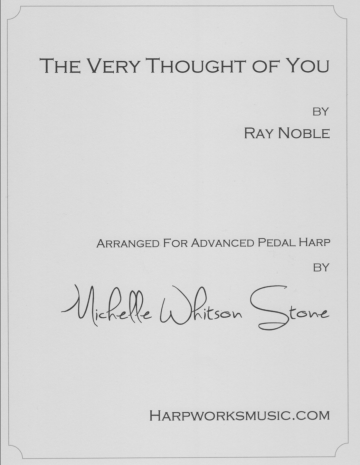 Joyce Rice’s Scottish Medley of six tunes is arranged for a duo of pedal harp and lever harp. The pedal (teacher) part is written in the spirit of parlor music of a century ago. It is lush and arpeggiated, easily sight read by the advanced harpist. The student (easy) part compliments the teacher part, and consists mainly of the melody.The right hand plays quite high, so a knowledge of notes above the treble staff is necessary. Each tune is written to segue into the next, making it a very nice recital piece. Comes with a teacher part and a student part.